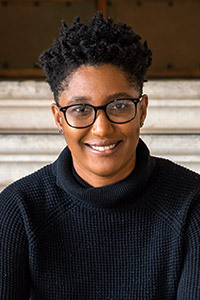 Shannon Malone Gonzalez is a PhD candidate in the Department of Sociology at The University of Texas at Austin researching police violence against black women and girls. Shannon's first project explores social class differences in how black mothers conceptualize the vulnerability of black girls to policing and impart strategies to prevent police contact and violence. Her dissertation is a mixed-methodological study of how race, gender, class, and sexualities shape black women’s experiences with police and resistance to police violence. Shannon is a National Science Foundation Graduate Research Fellow and W.K. Kellogg Community Leadership Network Fellow. She received a M.S. in Nonprofit and NGO Leadership from the University of Pennsylvania and her B.A. in English Literature from Tougaloo College. A CV is available upon request.